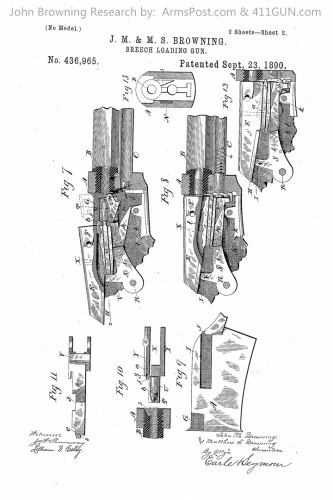 John Moses Browning was granted an extremely important US Patent on September 23rd, 1890. It was US Patent 436965 which was his first gas operated firearm patent. Try to imagine where the firearms industry would be without John Browning… It’s honestly impossible to quantify his impact on the design and progression of firearms design. 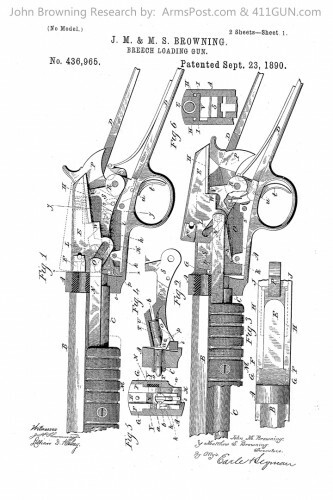 He applied for this Breech Loading Firearm patent on January 20th, 1890.